Having posted a “List of Prostration Places in the Qur’an” last week, this week thought I would post a supplication for prostrating due to recitation of the Qur’an. 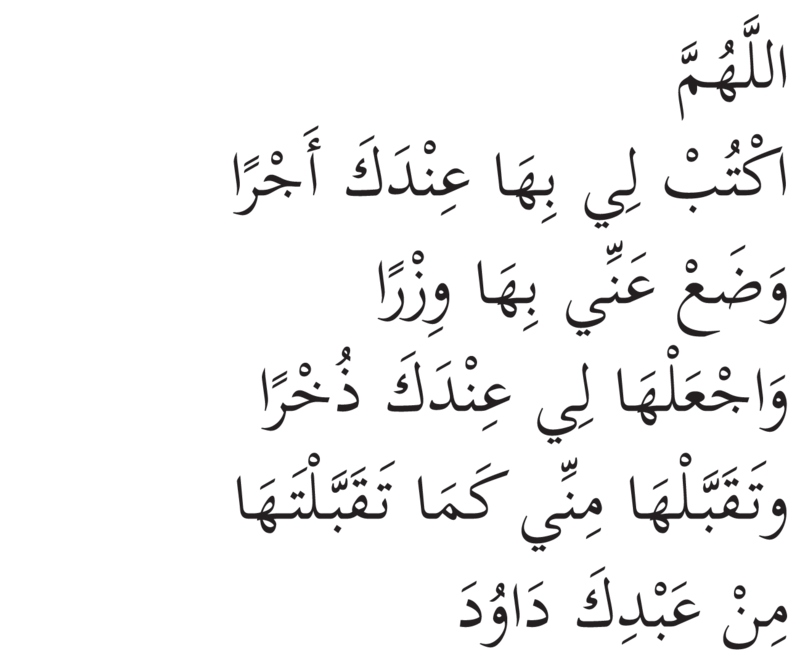 This entry was posted in Audio, Pdf, Supplication and tagged Dua, Hadith, Invocation, Jami At-Tirmidhi, Prostration, Prostration Places, Quran, Sajda, Supplication, Tirmidhi by thewahyproject. Bookmark the permalink.